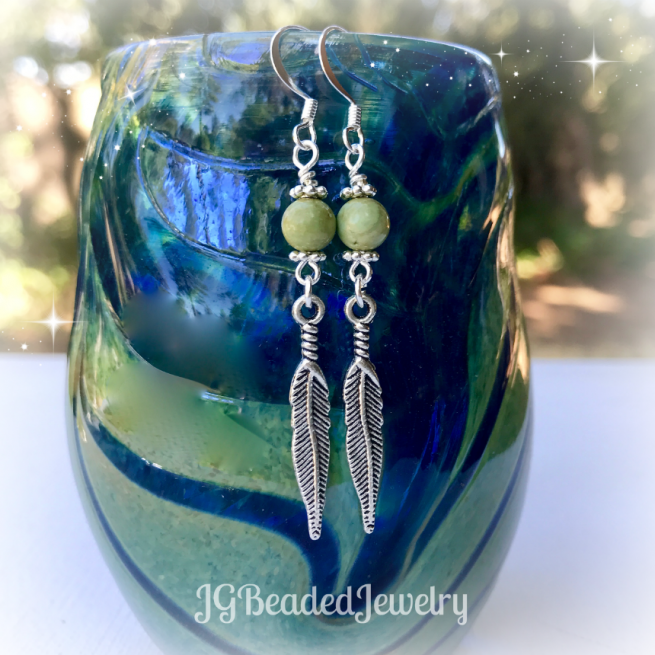 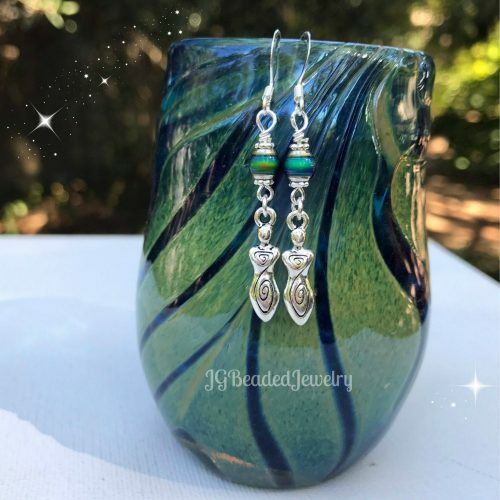 These turquoise feather earrings are approximately 2.25″ from the top of the ear wires to bottom of the feather charm. 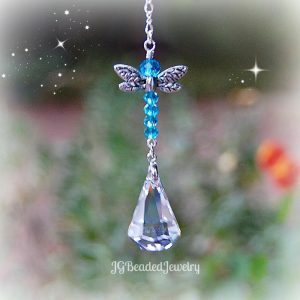 The gemstones are genuine green turquoise, the feathers are two-sided and they are embellished with fancy silver metal beads. 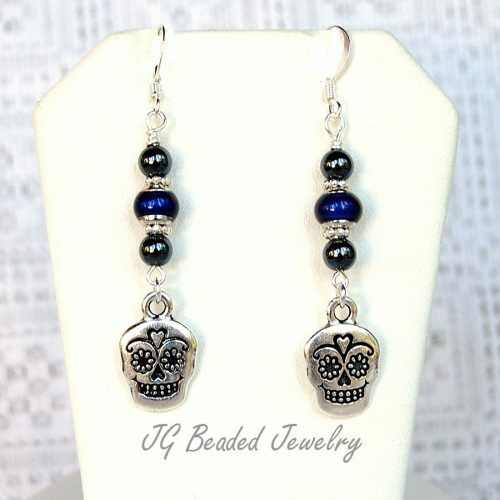 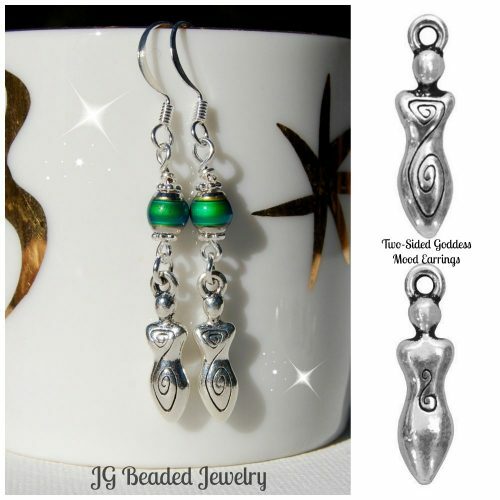 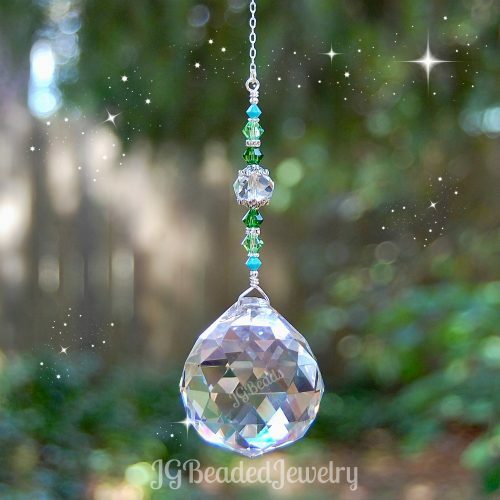 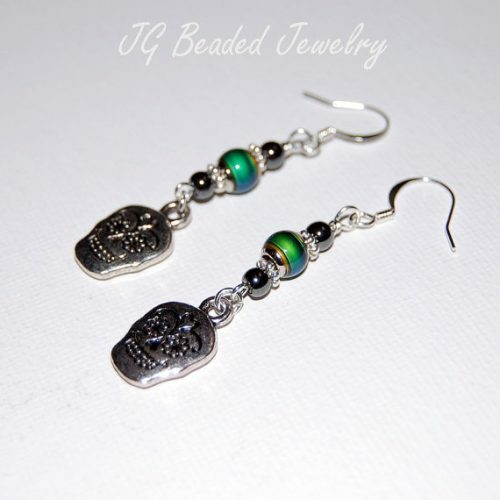 These earrings are lightweight, made with care and attention to detail.